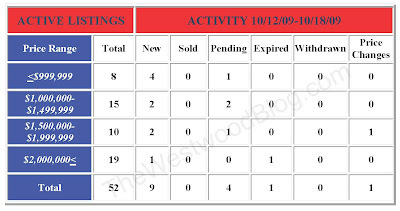 This report is for Monday 10/19/09 through Sunday 10/25/09. This is the property review for the new Spanish listing just south of Santa Monica Blvd. at 2017 Manning Ave LA CA 90025. According to the MLS, the home is a 2 bedroom / 1 bath, 1,075 sq ft of living space on a 6,750 sq ft lot. The house is set on a very tree lined section of Manning Ave., well away from all the busy streets. Many people, including myself, would rate this a highly desirable house location. While this house is not very large in living space, it makes up for it in its cleanliness factor, potential to add on with its large lot of 6,750 sq ft, and last but not least its price. At $829,000, its one of the cleanest fixer type houses in this price level, not on a busy street. Typically, homes in the $800's are fixers and have been mostly on busy streets at this price point. The turnout at the caravan seemed busy today and I wouldn't be surprised to see this house snatched up very quickly with a few offers. 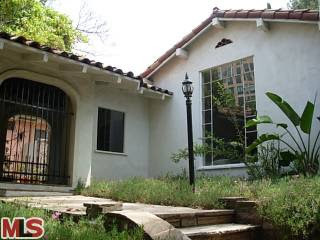 This south of Wilshire home at 10604 Wellworth Ave., LA CA 90024 lasted just 4 days on the market before receiving an accepted offer on 9/19/09. 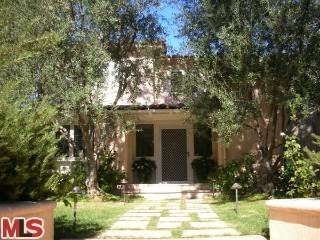 The property was listed on 9/15/09 for $1,399,000 and closed on 10/19/09 for $1,499,000. According to the MLS, the home is a 4 bedroom / 3 bath, 2,529 sq ft home on a 7,143 sq ft lot. The recent sales price comes at a 13% loss from the previous purchase price on 4/25/06 for $1,725,000. 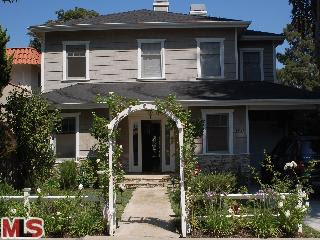 The house at 1412 Warnall Ave., LA CA 90024 lasted (72+7) days on the market before receiving an accepted offer on 9/24/09. 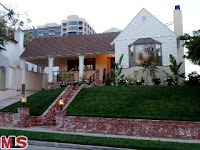 The home was originally listed on 5/26/09 for $2,295,000 and was canceled off the market on 8/6/09. 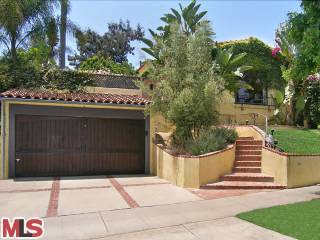 The property was then re-listed on 9/17/09 with a new price of $2,145,000 and sold after 7 days on the market. 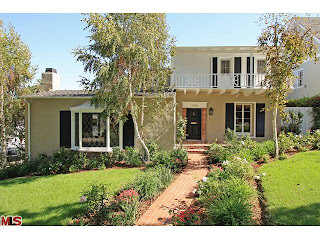 The home closed on 10/20/09 for $2,090,000. According to the MLS, the home is a 5 bedroom / 4 bath, 3,112 sq ft of living space on a 10,850 sq ft lot. Here is another case where the sales price exceeded the previous purchase price of $1,980,000 back in 3/7/2006. 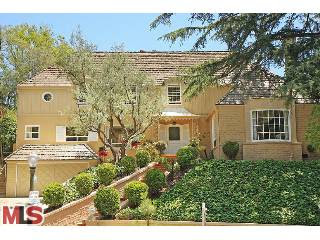 What did that Westwood Little Holmby Home Sell For At 10543 Garwood PL. The Westwood Little Holmby home at 10543 Garwood Pl, LA CA 90024 lasted 283 days on the market before receiving an accepted offer on 9/18/09. The home was listed on 11/18/08 for $3,000,000 and received 2 price reductions during the listing term. The home closed on 10/20/09 for $2,175,000. The MLS states the home is a 4 bedroom / 4.5 bath, 4,502 sq ft on a 7,160 sq ft lot. 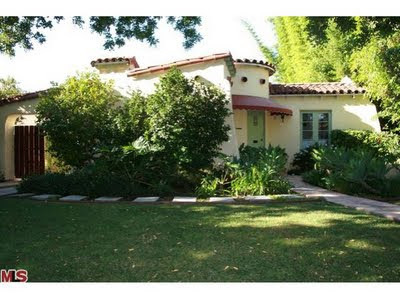 10543 Garwood Pl was previously purchased 12/3/07 for $2,700,000, which produces a 19% change since the last purchase. This is interesting since we just had another re-sale in Westwood Hills that previously sold in 2007 with very little change. 251 Denslow only sold for about 0.9% less than its 2007 purchase. 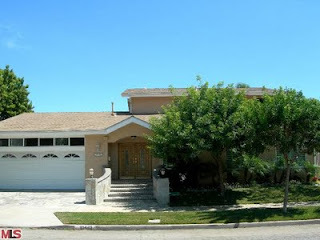 The completely remodeled traditional at 10707 Wellworth Ave., LA CA 90024 lasted 113 days on the market before receiving an accepted offer on 8/14/09. The home was listed on 4/23/09 for $1,900,000 and received 4 price changes during the listing period, with a last asking price of $1,550,000. The home closed on 9/30/09 for $1,480,000. According to the MLS, the home is a 3 bedroom / 3 bath, 2,202 sq ft of living space on a 7,020 sq ft lot. This report is for Monday 10/05/09 through Sunday 10/11/09. The Westwood home at 2360 Veteran Ave LA CA 90064 was part of my time warp story back on August 27th. 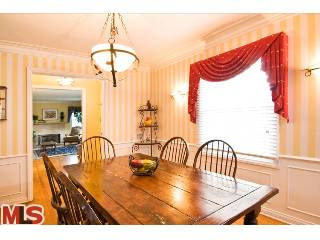 The property came on the market 8/13/09 with an asking price of $739,000 and received 27+ offers. A few people in the comments section guessed the final selling price, which ranged between $750ish to the lower $800's. The home closed on 10/2/09 with a final sales price of $900,000. According to the MLS, the home is a 3 + 1.75, aprox 1,609 sq ft on a 6,480 sq ft lot. 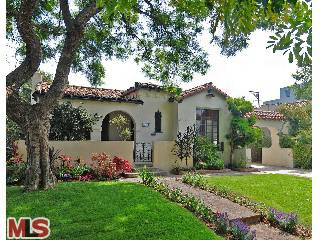 The Westwood Little Holmby home at 915 Thayer Ave., LA CA 90024 lasted 236 days on the market before receiving an accepted offer on 9/23/09. 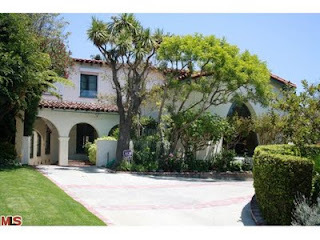 The property was listed on 1/30/09 for $3,399,000 and received 2 price reductions during the listing term, last ending on an asking price of $2,899,000. It looks like the home lasted about 60 days at the $2.899 price before the accepted offer. The home closed on 10/8/09 for $2,860,000. The home was last sold on 11/30/05 for $2,655,000. However, the home did undergo some renovations, including a new kitchen, since the last purchase. According to the MLS, the home is a 4 bedroom / 5 bath, 4,300 sq ft of home on a 8,340 sq ft lot.